Learning to drive is an exciting time for teens everywhere. While it’s exciting to learn how to drive, finding the right teacher can be difficult. Luckily, Varsity Driving Academy makes it easy by being the #1 rated driving school. Students from Trabuco Hills High School can read up on our services below. Once ready, those students can sign up and get started today learning how to drive. 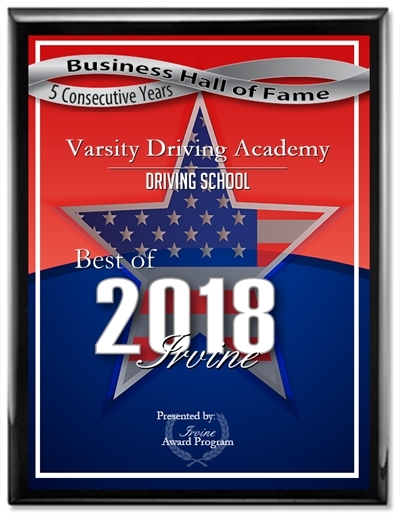 Scroll down and see what makes Varsity Driving Academy the top choice for Trabuco Hills High School students. Welcome to Varsity Driving Academy Trabuco Hills High School! Trabuco Hills High School students can take advantage of our free pick-up and drop off services. One of the most difficult parts to learning how to drive is the schedule. Students already have a busy schedule, especially those at Trabuco Hills high School. These students have their education to worry about as well as extracurricular activities, friends, and family. Adding a driving school to that already full plate can be a daunting task. 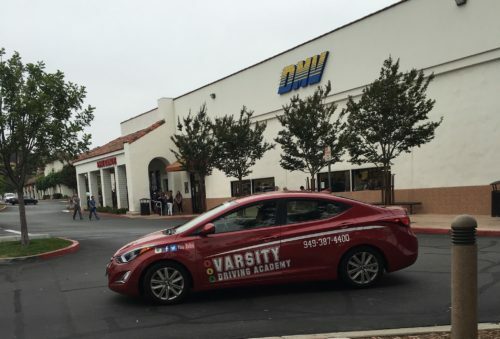 Varsity Driving Academy has the answer, online learning. By allowing students to choose online learning means allowing them to make their own schedules and learn when they have time. the idea is simple, students sign-up for a package, create a username and password, then start learning. When time is no longer available, students can log out and come back when they have extra time. Students will never lose their place through the process and can essentially be their own teachers. Behind the wheel training is a bit different than the basic learning course. During this time, we will need to make appointments and follow a bit of a schedule. However, we make this process easier as well. Our professionally trained trainers can pick students up and drop them off from just about anywhere their schedule takes them. During this time, students will have one-on-one time with a trainer. We will establish our defensive driving tactics and teach students to be as safe as possible while behind the wheel. We feel that one-on-one time gives students the freedom to ask questions and make mistakes without fear of judgment from their peers. We know that our services and packages have helped us achieve #1 status in many cities throughout Orange County and beyond. However, we never want to stop at just the basics, we aim for the stars at Varsity Driving Academy. One of our most popular packages is the DMV Package. Students who choose the DMV Package get a concierge -like experience and experience a little less stress during this time. On behalf of the students, we will be in contact with the DMV making appointments and phone calls. Once appointments have been made, we will also drive you to the DMV. Our trainers will take the student to the DMV for the final test in our safe and inspected vehicles. Once we arrive, we will hand over the keys to our vehicle so students can take the test in the same car they’ve been training in for months. Check out our contact us page to get the answers to the questions you may have at (949)-387-4400. Our Vehicles are regularly inspected and maintained to ensure a safe learning environment for students.